Bali and Singapore can easily be counted among the best places to visit in South East Asia. Indian Holiday presents an exciting 10-Day itinerary, Singapore and Bali Extravaganza with Royal Caribbean Cruise. The beauty of the paradisiacal islands of South East Asia – Singapore and Bali coupled with the incredible sightseeing, cultural experiences and adventures create an unforgettable vacation. The Royal Caribbean Cruise simply adds to the excitement. Sail on the breathtaking high seas enjoying luxuries, entertainment and other delights on your voyage. Peruse the detailed itinerary for complete information. Note: Itinerary can be changed as per Cruise Dates. Arrive to Bali, 'The Island of Gods'. Here our representative will meet you and assist with transfer to your hotel. On your way to the hotel enjoy the scenery and sights. A magnificent statue of a Battle scene between Gatotkacha and Karna, built in 1993, a part of a landscaping project around the airport, is believed to lend spiritual protection and safety for all incoming and outgoing, flights. It's an excellent photo opportunity for all visitors' in Bali. Check in the hotel and relax. The rest of the day is at your leisure. Wake up to a heart breakfast at the hotel. Today you are scheduled to visit Tanjung Benoa. It is a perfect place for you and your family to enjoy the various marine activities like, parasailing, banana boat, jet skiing, rolling donut, flying fish, snorkeling, scuba diving, glass bottom boat + Turtle Island and many more. Later, proceed to the Blue Point Beach. 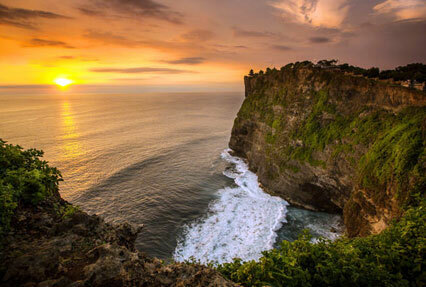 Enjoy the breathtaking view of sunset from the Cliff next to Uluwatu Temple. Later, enjoy the cultural dance of the island, attend the Kecak Dance Performance. After an early morning breakfast, get transferred for a full day excursion to the Kintamani Volcano. The fuming volcano is one of the favored sights of visitors in the Island. Next, proceed for a visit to the Batuan village, which is famous for traditional batik and hand weavings. 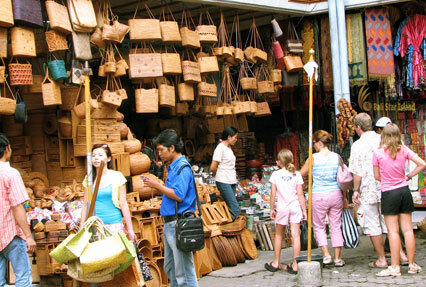 Later, stop at the Mas village that is famous for wood carving. Lastly, pay a quick visit to the Celuk village famous for silver and gold works. After, visit to the villages, continue with a tour to one of the most historical & ancient Hindu temples of Bali. Continue with a tour to The Mount Batur & Lake in Kintamani village which offers some of the most stunning views of the beautiful locales in this region. Take a break for lunch. The day's delights ends in the famous Ubud market. Explore the various shopping options to satisfy your shopping taste buds. Later, you have the option to attend the Barong Dance, optional show during Kintamani. It is one of the most famous & sensational Balinese dance performances that recreates the endless metaphysical battle between goodness & badness. Start the day with a leisurely breakfast. Later, pack your bags and check out of the hotel. On your transfer to the airport, board your flight to Singapore. Upon your arrival at Singapore, get assistance for to the per-booked hotel. Check-in and relax. The evening is at your leisure. Overnight stay in the hotel. Start the day with a refreshing breakfast in the hotel. The day is planned for a delightful half-day tour of the city. Start exploring the charm of Singapore with Merlion photostop, Suntec City, Fountain of Wealth, Orchard Road, Little India and Chinatown. The evening is planned for Night Safari, the night zoo tour. 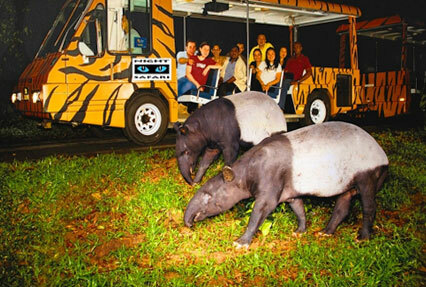 Board the tram and start a 40-minute journey of exciting wild animal encounters! The thrill of the night and the diverse areas and wildlife from the Himalayan foothills to wild Equatorial Africa, learn all about the wild world with live commentary. Come up-close with lions, tigers, tapirs, deer and more! The Creatures of the Night Show, a 20-minute animal presentation will introduce you to nocturnal animals. Set in a forest clearing, it's quite exciting to attend. After you are done with breakfast, check out from the hotel. 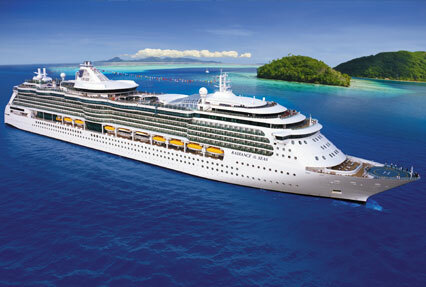 You will be transferred to Marina Bay Cruise Port to board the luxury cruise liner – Royal Caribbean Cruise. Enjoy the activities on board followed by a sumptuous dinner and a comfortable overnight stay. Wake up surrounded by the sea. After breakfast on the cruise, enjoy the leisure activities aboard. Later in the afternoon, dock at the Penang Island. 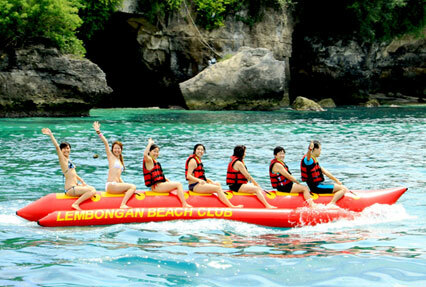 Here you are free to enjoy the water activities on the Island on your own. Later in the evening cruise, sail through the ocean. Dinner on cruise. Overnight stay on Cruise. Enjoy complimentary services and activities on board. Breakfast, Lunch and Dinner on board. Overnight stay on Cruise. Day 9: Disembark Cruise – Singapore – Sentosa Island Tour. Post breakfast, disembark cruise and take transfer to Singapore hotel. Check in your hotel. In the afternoon proceed on a Sentosa Twilight Tour. 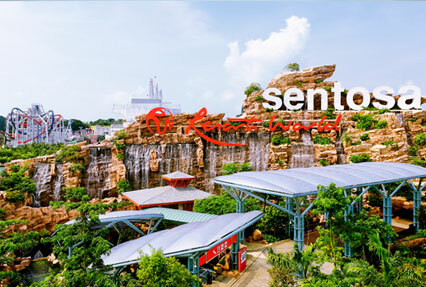 Sentosa Island is a slice of paradise which has a number of activities and adventures. A themed attraction, tropical resort, Nature Park and heritage centre all rolled into one, it's an entertainment park, the best highlight of Singapore. Your tour includes a one-way cable car ride, admission ticket and visits to the SEA Aquarium, and Wings of Time show. After a day of excitements, return back to the hotel. Overnight stay in the hotel. Today is the last day of the tour. After breakfast, pack your bags and check out of the hotel. Get an assisted transfer to the airport to board your flight for your onward journey.